FOREX CLUB announced that it has appointed Michael Geiger as Executive Vice President, currently holding the position as Chief Financial Officer, Mr. Geiger will lead the firm’s operational management. 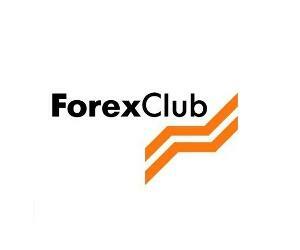 FOREX CLUB, one of the largest FX brokers in Russia and the Commonwealth of Independent States (CIS), has been evolving its executive management over the last three years. Mr. Geiger’s appointment reinforces the firm’s position of developing a strong regulatory framework. Mr. Geiger was previously a senior consultant for audit and assurance projects at Ernst and Young, Germany. Mr. Geiger holds a Master’s degree in Taxation and Accounting and Internal Audit from the AKAD University in Germany, he joined FOREX CLUB in 2011 as Deputy CFO and was later promoted to the position of CFO. In the official company press release, FOREX CLUB stated that Mr. Geiger will maintain his potion as CFO. “I’m sure that the energy of efficient FOREX CLUB’s management team together with systematic and deliberate approach to reaching our goals will allow us to roll out our corporate strategy aimed at forming mass culture of trading, investing and asset management on financial market for the wide audience,” added Mr. Geiger. FOREX CLUB was the latest brokerage firm to offer the popular Bitcoin CFD contract, in a company release issued last week FOREX CLUB reported that it will offer Bitcoin pricing from key exchanges. Several FX brokers have made changes at the ‘C’ level over the last six months, including; OANDA, Alpari and GAIN Capital. Both FOREX CLUB and Alpari have reported that they intend to go for IPO, however no timeline has been proposed. FOREX CLUB exited the difficult US market in August 2012 and subsequently received authorization under CySEC in the same year.